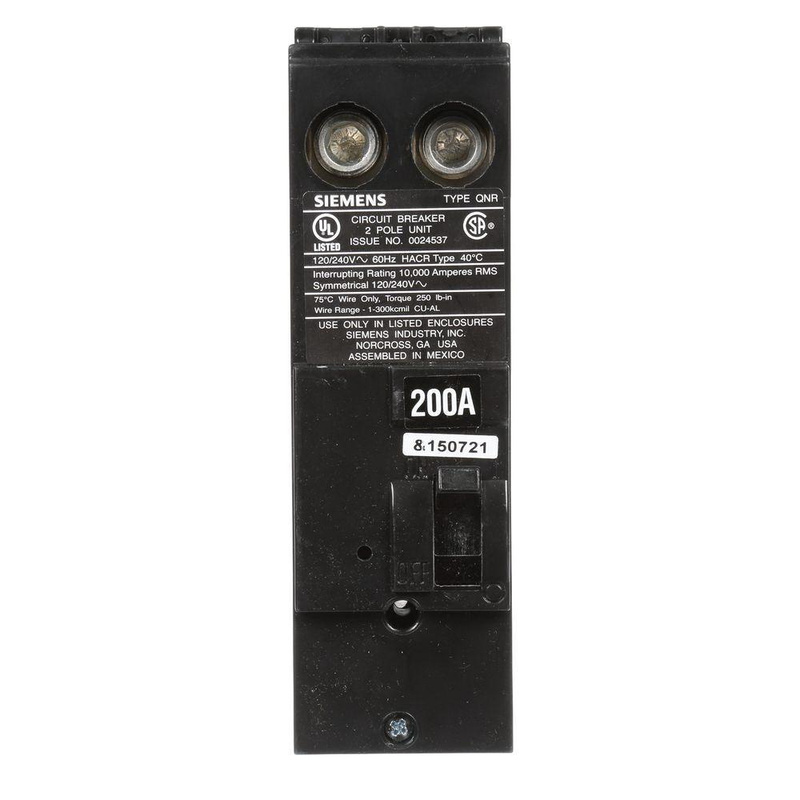 Siemens 2-Pole Main circuit breaker is rated at 120/240-Volt AC and 200-Amps. Interrupt rating of this circuit breaker is 10-Kilo-Amps. This 1-Phase circuit breaker accepts copper/aluminum wires of size 4-AWG - 300-KCMIL. This QN-frame circuit breaker features thermal-magnetic trip type to ensure reliability. It is suitable for use on loadcenter and perfect to offer protection for your home's wiring system against overload/short-circuiting. Circuit breaker is UL listed and CSA/ANSI certified.